Depending on where you live, October can be a brisk wonderland filled with pumpkin spice and everything nice, or, it can be one of the warmest months of the year. No matter where you live, we believe that these five trends transcend temperature and will have you feeling and looking for your best all month long. PS. We have all of the styles featured below in stock at Jackie HQ. Let us know if you absolutely must have any of these pieces! If you are a working lady with a busy schedule and you appreciate the finer things in life, you absolutely must invest in a Life Proper bag. With styles from The Satchel to The Daypack, these leather bags are flawlessly crafted and withstand wear and tear beautifully. It will be the perfect practical yet fashionable addition to your fall wardrobe; we guarantee it. Every woman can appreciate a good pair of mules. They are great for wear from summertime all the way through the fall. No matter where you are or what you do, mules are an easy way to flaunt professional and fashionable footwear. They require little effort and are incredibly versatile. Make them your statement piece and grab a printed pair, like our KAANAS Floral Printed Mule. At Jackie, we strongly believe in the benefit of investing in high quality basics. One of the brands that does this best is Stateside, a Jackie favorite. We have a handful of cozy pullovers in stock that we are loving for the fall. Whether you live on the East Coast and need some layering basics, or you live in a warmer state and love to have something soft on hand for snuggly nights at home, you’re going to love having a basic pullover in your fall wardrobe. We are absolutely in love with this Clare V shoulder bag. That’s why we have it in stock for our lovely Jackie ladies! This style is perfect for going out and keeping just the essentials with you. Whether you’re in for a night on the town or a little afternoon of shopping with friends, we highly recommend this Clare V, Frannie Bag. The leather is buttery smooth and has that authentic, vintage feel. You don’t want to miss out on this! Denim is the perfect fabric for fall. Whether it’s a brisk morning or a sunny afternoon, a quality denim jacket will keep you comfortable and fashionable. 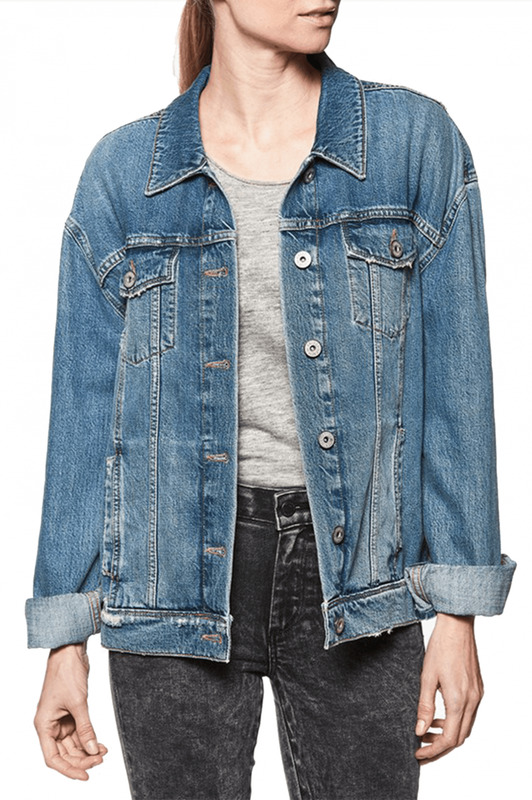 We have a few different styles in stock, but one of our favorites is this Paige Denim Jacket. It’s got that vintage, oversized feel without taking away from flaunting your figure. Pair this with black jeans for the perfect fall look. Thank you to somethingnavy.com for the cover image.